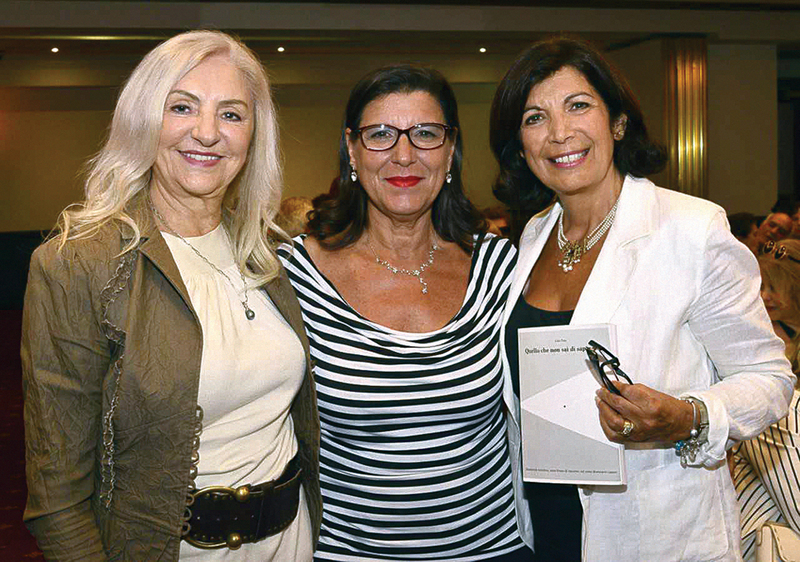 The National Association of Italo-Australian Women in collaboration with the Dante Alighieri Society of Sydney recently hosted a self-help event, with the primary scope of understanding one’s role in life. The meeting was held at Club Five Dock in Sydney, with the participation of Angela Corda and Germana Morassi. President of the association and meeting moderator, Concetta Cirigliano Perna, played host, thanking Dante Society president Fabio Carosone, before explaining that the two associations hold a common goal in sharing the best of Italian culture. For this motive they agreed to organise an event with their collective interests at heart. 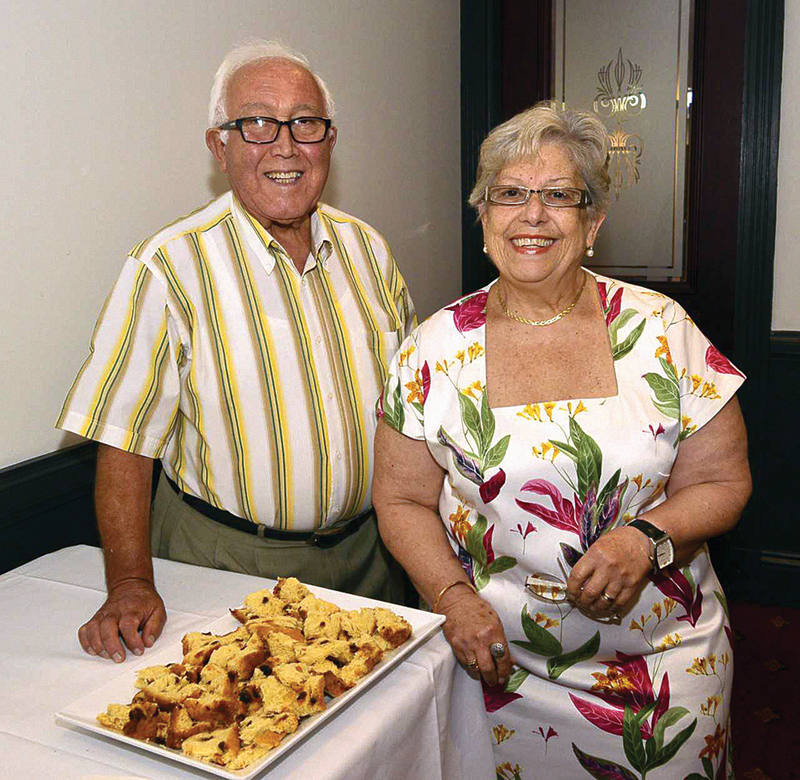 “I met Angela Corda at Rete Italia, in the Tuesday program ‘By women for women’, conducted by Paolo Rajo,” Perna said. “She was the one who first spoke to me with enthusiasm about the book Quello che non sai di saper fare (What you didn’t know you can do), by Carlo Tolas. “I read it and I considered the possibility of much reflection on many aspects. Corda elaborated on the theme of the day, ‘Ways to achieve happiness’, inspired by her reading of Tolas’ book, which seeks to undermine and overcome emotive blocks, and teaches us to never give up and follow those desires which may have been abandoned in the past but which could make life longer. “The book by Tolas is an interior dialogue... a vision of life which, being clear to us, has the ability to reveal the best in ourselves,” Corda said. “With this knowledge and clarity each one of us could live a high quality of life and eventually utilise certain devices to improve life, live in the moment and work towards joy. “All of us have human resources which we don’t realise we possess. “We must believe in ourselves and activate ourselves to know exactly what our role in life is. “It is necessary to have knowledge in one specific area: recognising whether the life that we are living is what we have chosen or if this is a moment in which we could make a small change to make us feel better. “Reading the book is critical in creating a sort of path which leads to happiness. “In the sense that each one of us can understand what can be done in our lives and discover what it is which has impeded us up until now, and at the same time understand at which period we endured the short circuit, that thing which impedes everyone. “At times it’s parents or some other person of reference, or otherwise friends which make a big difference in certain periods of life. The meeting continued with the participation of Germana Morassi who has worked in the past for CO.AS.IT., the Ethnic Affair Commission, Sunderland council in the role of Project Officer and for 24 years for the Department of Health, giving advice on the importance of eating well to stay well. “It’s very important that people learn how and what they should eat so as not to turn to pills when they are sick,” Morassi said. “We are responsible for our health; we cannot blame doctors because we are the ones who make our eating choices. “To make an example, everyone knows that sugar is bad for us, desserts are bad for us and cause aging of the cells. Good advice, but it went somewhat ignored when Stefania and Franco arrived with a very sweet panettone. “On this occasion, we have a full house,” Perna said in her final speech. “It’s really a great result if we consider that the event was organised in the brief period of a week. “The presentation was a success and many women have already come up to thank us. This story appeared in the Thursday January 31, 2019 edition of La Fiamma.